For over a week now, I've been waking up from dreaming about cupcakes. 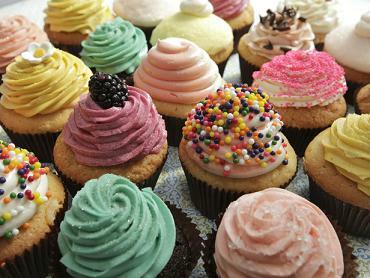 It started out from a dream where I owned my own cupcake business. I was running around, getting things done, busily working away. When I woke up....I awoke happy. Well more then that...I woke up...inspired! I came down stairs & told Dave all about it. I mean I was actually excited & all from a dream. Every night since, I've dreamt of cupcakes. 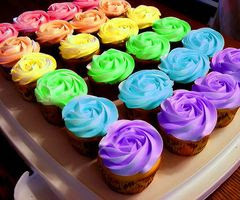 I wake in the morning to new ideas for different flavors of cupcakes. I always come down stairs & jot notes down about my dream & ideas from it. The cutest thing, since I've been having these dreams & leaving notes around the desk, Dave bought me a cute little note pad with cupcakes on them for me to jot things down on. He's soooo awesome to me!! Now, not all of my dreams consist of new cupcake ideas. 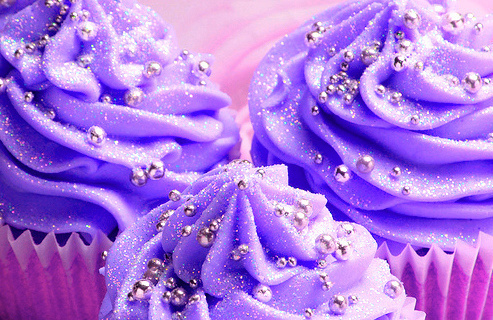 I've had some other fun dreams, but somehow they come back around to---or take place at---or something cupcakes! I've had dreams of being able to light the icing on fire. 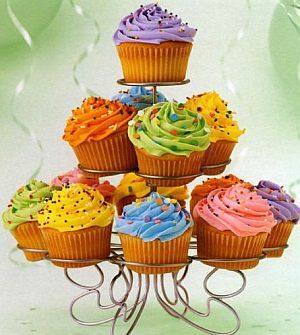 It was quit a spectacle in my dream to have these rows of cupcakes purposely on fire. Upon telling Dave about the dream, he reminded me about Baked Alaska pie where the top gets fired. So...another good idea. One of my favorite dreams was that mom (who was working for me in my dream) & I got into a cupcake fight. Icing everywhere, the store was a mess, we were laughing our asses off. Then someone came into the store & we started pelting them with cupcakes. I actually awoke laughing...out loud! I remember actually hearing myself which is what woke me. Then my cat Kyra was sitting up & looking at me all perplexed. I just wanted to fall right back to sleep & right back into that dream. VERY fun dream! 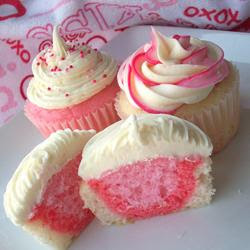 Some of the cupcake ideas I've had are....mojito (lemon cake with delicate mint icing), raspberry swirl cake with amaretto icing, sprinkle cake with bubble gum flavored icing for the kids, Pineapple upside-down rum cake with smooth glaze icing, chocolate cake with blood orange icing....the list goes on & on. Almost every morning I wake up with new ideas & flavor combos. Just sitting here typing this out & I've came up with 2 more ideas. For some reason I'm starting to think all things cupcakes!! Start baking what your thinking! !